Jan Chambers is the 2012 recipient of the Invisible Disabilities Association Impact Honors Award. 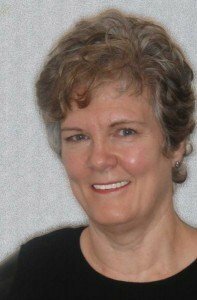 Jan was chosen based upon her desire and passion to impact positively those living with fibromyalgia and pain as the President of the National Fibromyalgia & Chronic Pain Association. On federal, state, and local levels, the National Fibromyalgia & Chronic Pain Association (NFMCPA) represents the concerns and voice of over 10 million Americans who suffer with fibromyalgia. In alliance with other organizations and stakeholders, the NFMCPA advocates and strategizes for chronic pain illnesses (1) research; (2) access to appropriate and affordable care; and (3) health policies and literacy to empower others to take action. Our mission is to offer vision, resources, value, and service to people associated with fibromyalgia and chronic pain disorders, their communities, our employees and volunteers by being a leading charitable, non-profit organization. While serving as the President of NFMPCA, Jan is also the publisher and Editor-in-Chief of Fibromyalgia & Chronic Pain LIFE bi-monthly magazine of NFMCPA, host for NFMCPA BlogTalk Radio, Facebook Administrator (14,000+ fans), sponsor and host of Ask the Expert series and a Cochrane Musculoskeletal Group Peer Reviewer. In addition, Jan was a presenter at O.F.F.E.R. educational meeting March 2012, the Director of the National Fibromyalgia Association Leaders Coalition, and the Founder and President of Utah Fibromyalgia Association. Jan’s other passions are snow skiing, reading, gardening, rock collecting, creating computer graphic art, travel, learning, exercise, museums, impromptu theatre, and Broadway plays.